LIQ Ce night mask used regularly nourishes, regenerates and provides comfort and proper functioning for both dry and dehydrated skin. The high concentration of vitamin E ( 15 %) not only reduces and slows the aging process of the skin, through the uptake of free radicals , but also improves apparently its elasticity and tension. The addition of hyaluronic acid and xylitol provides a long-lasting moisturizing and smoothing. The skin after night stays well hydrated, smooth, and irritations are relaxed. 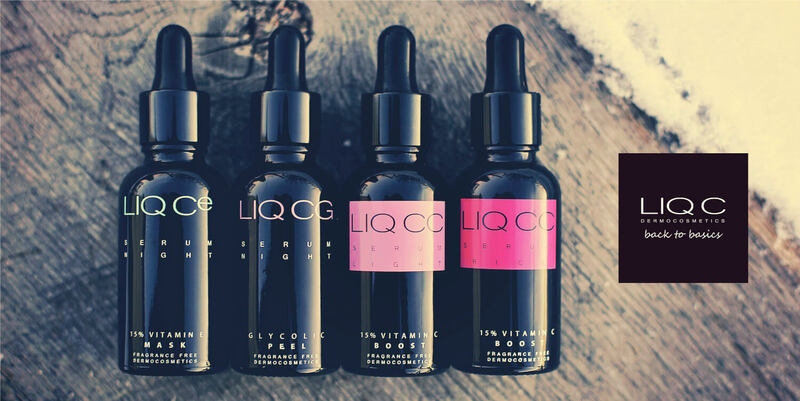 LIQ Ce Serum-Mask is excellent for all-skin type, especially recommended for dehydrated skin. For night care both for mature and young skin. Vitamin E (15%) - neutralizes free radicals, protects against the destruction of epidermal lipids, collagen and elastin fibers. It strengthens the walls of blood vessels. It slows the aging process of the skin and accelerates the regeneration process after burns and cosmetic procedures. Xylitol - at the right concentration it intensively moisturizes and strengthens the skin's protective functions. One pipette per application (face, neck, neckline). IMPORTANT: Biphasic Serum - shake well before use. Apply in the evening on cleansed face and neck. Apply under your normal moisturiser all year round or as a 28-day treatment. It does not require washing after night. Avoid contact with eyes.